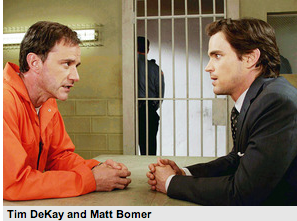 Exclusive White Collar Sneak Peek: Hagen Kidnapped Rebecca! What Does He Want From Neal? Exclusive White Collar Sneak Peek: Peter Found One of the Gold Coins! Is Neal Toast? Exclusive White Collar Sneak Peek: Can Neal Clear Peter’s Name? The Mentalist: Did Rigsby and Van Pelt Finally Say “I Do”?